← The Patriots Back Door Their Way Into the No. 2 Seed and a First Round Bye! Yesterday, Red already hit you with a bit of a recap and a few postgame thoughts of his own. Now, ya boy Mattes is here to follow it up with even more reaction for the folks. First and foremost, it’s very important to note the following: Yes, the Pats did indeed lock up the AFC East for the 1,456th time in a row (OK not really, but I’m running out of room in my closet for all these hats and T-shirts); however, they DID NOT lock up the No. 2 seed. Not quiteeeee yet. So before making plans to finally clean out the garage on Wild Card Weekend, I’d wait to see what happens next weekend against the Jets. Ravens have a shot for first-round bye. This is the updated scenario: Baltimore beats Browns, Texans lose finale (vs. Jaguars), Patriots lose finale (vs. Jets) and the Colts-Titans game can’t end in a tie. For the record, I think we’ll pull it off…but we still gotta beat the Jets. OK, now on to some reaction from this afternoon. I won’t touch upon much of what Red already wrote here. But I will say that anyone who comes out of this one feeling “great” might need a bit of a reality check, as many of the same problems the team was facing heading into today were still painfully apparent (e.g. Brady’s knee; Gronk’s health/ability to move). Instead, it was Cordarrelle Patterson, and even Phillip Dorsett, who were responsible for for almost 29 percent of the team’s rushing yards on the day. The team finally seems like they’re picking the right spots to call those big WR sweeps – which I admittedly was not a huge fan of at first – and they could be a vital part of the offense moving forward, because the team’s going to need to get creative with the passing game looking as awful as it has. The big man was rumblin’ on Sunday afternoon. Cordarrelle Patterson not taking questions in the locker room after the game, but says he’s “good.” Suffered a knee injury in the third quarter. And I have to once again make sure everyone realizes how incredibly good Jason McCourty has been this year. Yes, Josh Allen served him an absolute cupcake interception in the fourth quarter that anyone with a pulse would’ve had, but J-Mac, Stephon Gilmore, and J.C. Jackson – a guy we’ve been telling you about since this summer! – were all solid once again. 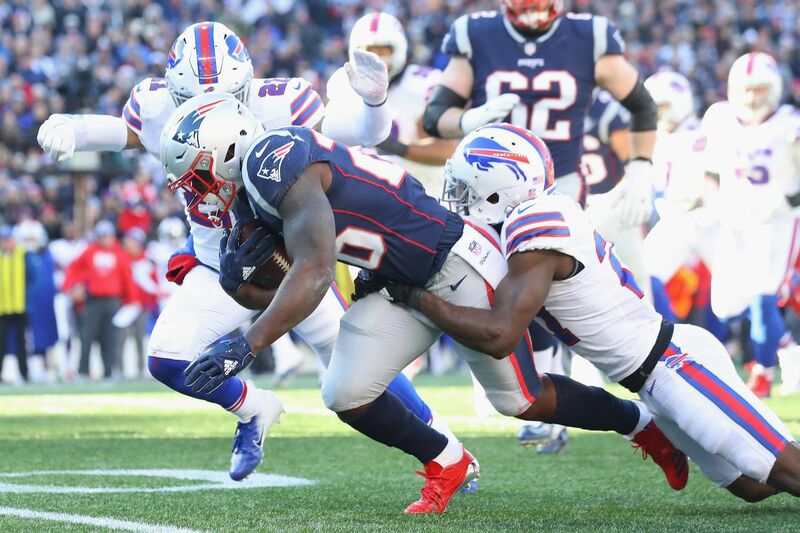 OH, and McCourty also forced a fumble at the end of the third as the Bills were about to reach the red zone. This secondary is damn good. 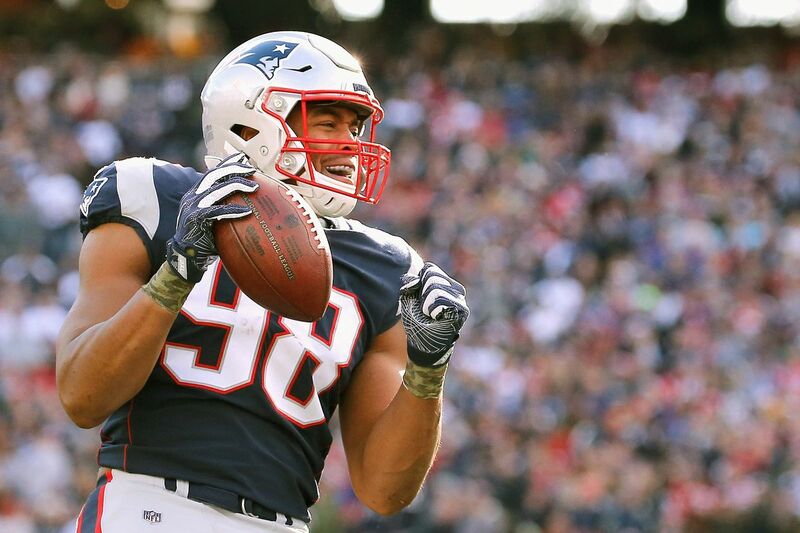 Trey Flowers also continues to prove why he’s so underappreciated; he had no sacks on the day, but he was still everywhere on defense, finishing with five tackles and even drawing a holding penalty at one point. If he ever goes down, the D will go with him. Please don’t let this dude walk this spring. Open the purse, Bill! Penalties continue to be a killer for this team lately. After getting called for 14 (!!!) against the Steelers last Sunday, some might think I’m overreacting to an outlier. However, the team was called for another five today, giving them 42 over their past five games alone (8.4 per game). That’s very uncharacteristic for this team, and it’s certainly not a good trend heading into postseason play. So, again, while I’m very happy with the win, I’m definitely not heading into January with the warm and fuzzies. This team still needs some serious help to get anywhere close to Atlanta in February. A win against the Jets next week and a first-round bye would be an excellent way to start though. Be sure to check in at the end of the week for the preview of the regular-season finale! This entry was posted in Patriots and tagged Bills, Cordarrelle Patterson, Jason McCourty, Patriots Bills, Patriots Bills Postgame, Patriots Bills Reaction, Patriots Bills Week 16, Pats, Sony Michel, Trey Flowers. Bookmark the permalink.